Today we are doing one for the lads…. NativeAdBuzz does not agree with the objectification of women and thoroughly believe in equal rights for all humans. They do however endorse the appreciation of beautiful things in all the myriad of ways that beauty exists. Today, we’re gonna be lads. Proper. Damn. Lads. Actually, we’re just gonna show you a bunch of attractive women, most of them probably airbrushed and photoshopped, and in no way a representation of the honest beauty of a real women– but heck, it sure feels like we’re being cool! 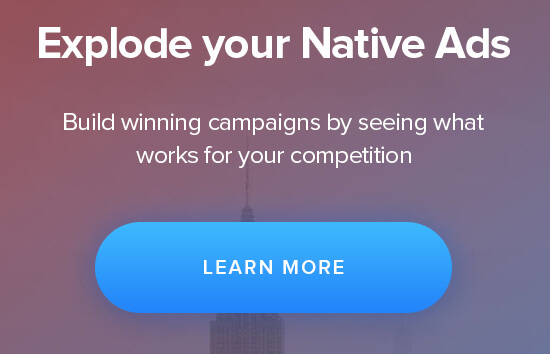 Anyway, all the Native Ads you’re about to see were found inside the NativeAdBuzz website, and if you’re not already a member, you can take advantage our incredible $7 trial by clicking here! So once you’ve done that… let’s get started! Alright, so it should be SUPER obvious why we included this Ad in today’s ‘Top 5’. It’s because we’re all mystified with curiosity about who the celebrity is in the image… right? I mean… why else would the guys in the office have spent a good 4-5 hours staring intently at the photo, desperate to put a face to the name. What a brilliant Native Ad – it’s captured our attention perfectly! Either way, we’re not complaining – are you?? So, you know that feeling when you’ve just got a bunch of photos developed… you’re walking back to your car… and you drop the freakinnn photos all over the floor. A complete waste of money. Alright, that was poor humour from me LOL. Anyway… it should be self-explanatory why this photo was included in today’s roundup, and while it’s not converting too well… yet… it HAD to be included… for… erm… the cool photography work?! Are those…..er knees? Hmm; what do YOU think this girl does? Whatever she does… all YOU need to do is click the image to find out! I mean… you won’t believe how she does it! This image can actually be found on quite a few successful Native Ads, and interestingly, almost all the ads lead to some sort of trading website – usually Binary Options. Ignoring the clearly miss-leading ad (she’s actually a ‘model-for-hire’ – you can find her on Google), this ad had to be included… because… well come on… she’s hot! What’s interesting about this Ad, is that the women in the photo isn’t instantly recognizable as someone famous, which means the creators of the Ad are likely targeting a very select niche. And while the Ad is doing fairly well, aside from the hot woman, we think they could do more to improve this. What are your thoughts? Spotted something that could be better? Reply to this email and share your thoughts… we’d love to hear them! OK… the final Ad of today’s email. So in a rare twist, this ad is actually performing super well… as well as featuring a very attractive lady that… apparently; used to be a child-star-nerd! Anyway she is someones daughter so stop being a pervert, and pull your mind out of the gutter! And that rounds up this week’s analysis of our Top 5 Native Ads. The NativeAdBuzz bots are always working hard to track down and analyse the best performing ads, so it’s well worth looking into whenever you’re planning on launching a new campaign. If you’re not already a member, you should claim your $7 trial by clicking here while it’s still available. There’s a ton of great material at the site, and you’ll discover how thousands of ads are performing, letting you improve your OWN online campaigns!